Potentially my least favorite 4 letter word. And this devotion, on that very topic, hit me right between the eyes, in a good way. 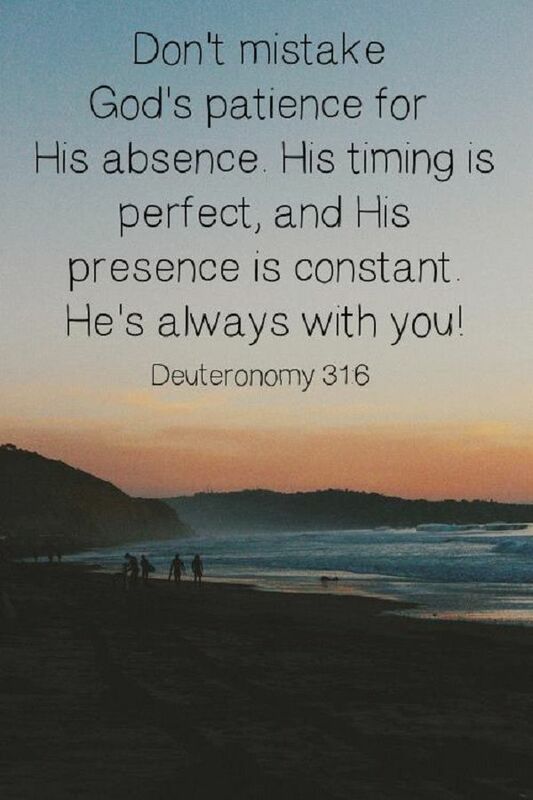 I need to be reminded of the the importance of His timing, His will, and His lessons to be learned in the meantime. He makes us wait to fulfill His call in our lives after He puts the desire and passion in our hearts to serve Him in a certain way. To build your trust in Him when the storm keeps raging, the battle keeps going and breakthrough and victory doesn’t seem near. See… sometimes the waiting period of our lives is the most important time in our life. It is during this period when nothing seems to be happening, when prayers seem to go unanswered, when God seems so far away that the most spiritual growth takes place in our lives. That we learn to become more like Him. It is during this time that we build spiritual “muscle”. Needed, so true! Our hearts need the reminder of truth. Hear HIS words. HE certainly hasn’t forgotten.